I was given a few awards awhile back, but I forgot to post them, so here we go. The fabulous blog award I would like to give to Jessica, Alex, and Amber. 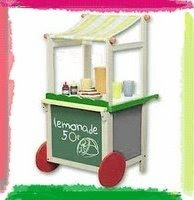 I would like to give the lemonade award to Rose, Miss Serenity, Shannon. 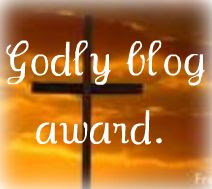 Last but not least I would like to award the Godly blog award to Elizabeth J. , Ruby Jeweled, and Allison. I have been featured on Virtuous Girlhood. Thanks Sarah for awarding me! Funny thing though, I already have that one. Arianna awarded it to me! Thanks for awarding it to me also! Nice to know that y'all like my blog so much that more than one person would award me with the same award! Hope you are having a blessed week and that your families ministries are coming along nicely. Awwww...thank you Sarah. I would award you back but that would be kind of repetitive so you have my word that I think your blog is fabulous. lol. Okay ttyl! Congrats on being featured again. Thank you for the blog award, it means a lot.